Vericom Wall Mount Double Section Cabinets can be set-up on vertical surfaces, and have a removable rear section for easy installation. Designed for managing cables and network devices, there are cable entry points on the top and bottom, as well as lace points to reduce wire clutter. 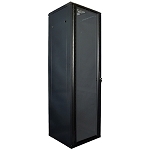 You can store 130lbs of EIA equipment in these steel network cabinets. 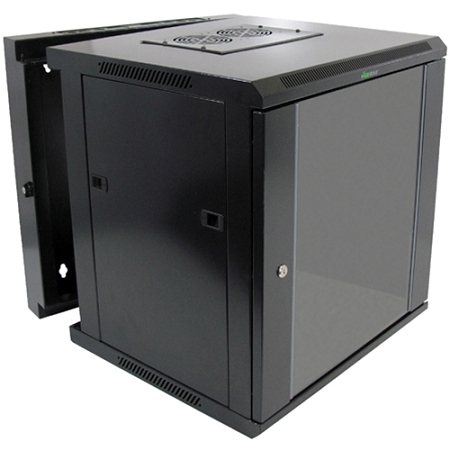 Offering 9, 12, and 15 RMU, Vericom Wall Mount Cabinets keep network and cable devices protected from foreign particles so that they may perform well. All of the components are kept secure behind a lockable plexiglass door. 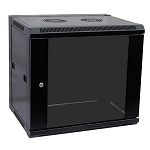 If this Vericom Wall Mount Double Section Cabinets needs to be installed around a piping system, 3/4 inch, 1 inch and 2 inch pipe knockouts are built-in for adaptability to the environment.